Product prices and availability are accurate as of 2019-04-19 21:44:57 EDT and are subject to change. Any price and availability information displayed on http://www.amazon.com/ at the time of purchase will apply to the purchase of this product. 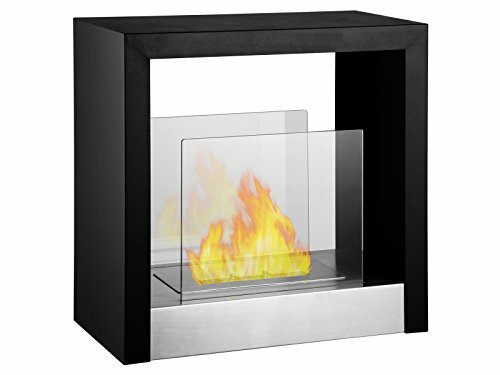 An extremely versatile free standing fireplace, this unit can be placed in any spot of any room. 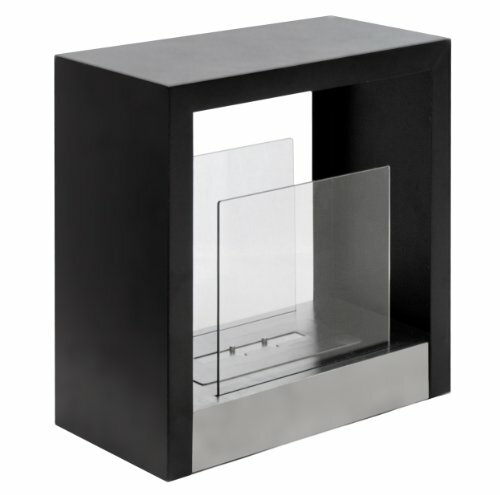 A Black powder coated frame a stainless steel base and glass panels on both sides provide safety and a designer touch. Put in the middle of the room and view the flame from anywhere, with its compact size the options are endless. 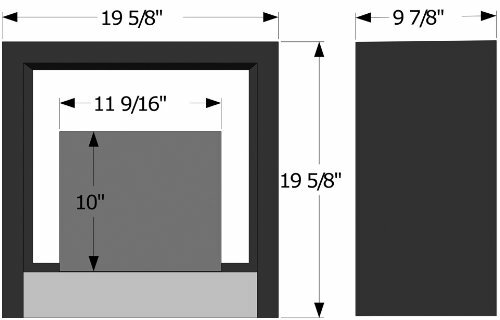 Dimensions: 19.6" x 19.6" x 9.9". 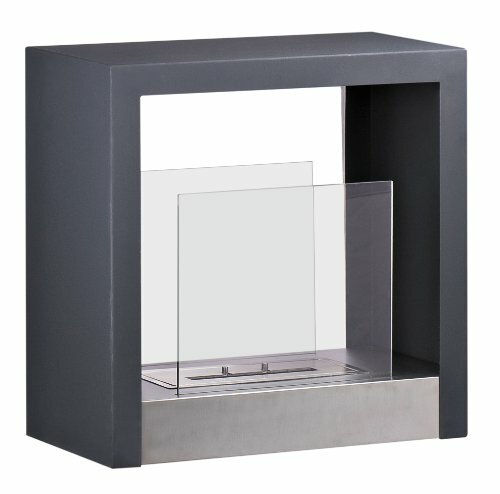 Features: Ventless - no chimney, no gas or electric lines required. Easy or no maintenance required. Freestanding - can be placed anywhere in your home (indoors & outdoors). Capacity: 1.5 Liter Burner. Approximate burn time - 5 hours per refill. Approximate BTU output - 6000. 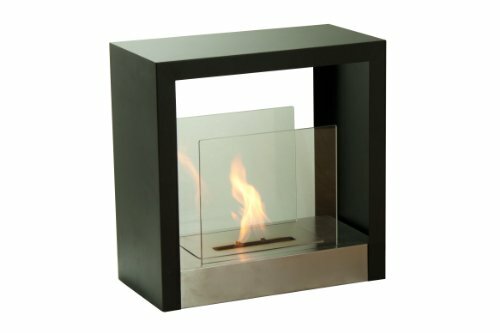 Freestanding - Can Be Placed Anywhere in Your Home (Indoors & Outdoors) Ventless - No Chimney, No Gas or Electric Lines Required; Easy or No Maintenance Required Capacity: 1.5 Liters; Approximate Burn Time - 5 Hours per Refill; Approximate BTU Output - 6000 What's in the Box: (1) Tectum S Fireplace, (1) Ethanol Burner Insert (1.5 Liter), (1) Damper Tool and User's Manual Dimensions: 19.6" x 19.6" x 9.9"